XII changed my life. My dreams washed away like waves on the sea shore. I did not score well to secure a seat in the Medical or Engineering colleges in Gujarat. Based on the merit list, I enrolled for the Bachelor of Science, with Physics as major, in the M.S. University of Baroda in the year 1995. At college, my friends called me “Einstein”, apparently because of my fascination with Physics. I used to go to the library regularly. But I never studied subjects related to my course. Most of the time, I prepared for the Medical entrance test. But in the final days, there was a clash between the BSc and Medical entrance examination dates. I risked losing a year, which I didn’t want to take. In the last moment, I made a U turn. To cope up with my lost time, I did combine studies with my college friends. Every second was precious. With so many subjects to study, I focussed previous years’ examination papers. When the results were declared, I was pleasantly surprised to score first class. Praise God for this miracle. I started attending the Mount Carmel Ashram, a Catholic Church, near to our colony. Every Sunday morning, at 7 am, I would attend the mass. I liked the Catholic Church service more than the Jacobite service. I loved the beautiful worship songs by Nuns. It was during this time, I started reading the Bible. In the second year BSc, 1996-97, we had Chemistry and Maths. I didn’t pay much attention to my studies, thinking there was much time to prepare. I became laid-back. But it proved tragic. I scored only 52% in the second year. Now, In order to join MCA or MBA, I had to score at least 60% in the BSc final year, so that the average of last 2 years comes out to be min. 55%. In the BSc third year, 1997-98, we had about 7 papers in Physics. 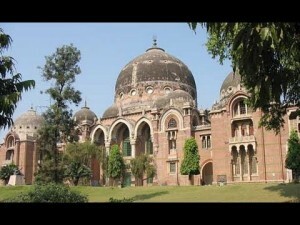 I used to study in the Hansa Mehta library, which was a beautiful library with a large collection of books. During this time, I also started preparing for the MCA/MBA entrance examination using the IMS coaching materials. In the BSc final exam, by the Grace of God, I scored 62%, because of which I was eligible to give the MCA/MBA entrance test. I used to visit the Shrine church – a Catholic church, at Fatehgunj, once a week after my college, and pray there in silence. The church was located at a serene place and was open throughout the day. Anybody could come in and pray silently. Before appearing for exams, I used to do my last-minute study there. It was during my BSc final year, Mother Teresa had passed away. I remember a 3-day crusade by an American preacher at the Polo Ground in Baroda. Thousands of people had come for the meeting. There was a man, who couldn’t walk, brought in an auto-rickshaw by his family members. At some point of time, the Hindu fanatics, VHP/Bajrang dal, started to disrupt the prayer meeting. They came on stage and attempted to attack the preacher. People were instructed not to panic. Later, police took control and arrested the trouble-mongers. The meeting ended before time, with prayers for sick. Few people came on stage to witness healings they received from the Lord. The subsequent, second and third day meetings were cancelled at Polo Ground, instead they were held at a Christian School compound at Fatehgunj. I attended the meetings, both days. There were truck loads of security personnel. It was during this meeting, I received a Prayer Request card asking my Name, Address, and Prayer details. I wrote my prayer request, for admission in MCA course, and gave it to an Usher. That prayer request card changed the destiny of my life. It went to Pastor Babu Samuel of the Sharon Pentecostal church in Fatehgunj. Seeing the address, he visited my house and prayed specifically for MCA admission in Baroda itself. It was a powerful prayer! I also remember attending a crusade in Ahmedabad, by Brother DGS Dhinakaran. We attended the last day meeting with Subodh and his mom. Although, they came from a hindu background, they had a great respect for Brother DGS Dhinakaran. On the day of the meeting, there was a huge crowd, probably in lakhs. Brother Paul Dhinakaran shared the message first, followed by Brother D.G.S Dhinakaran. He called out names of the people during the prayer time. The atmosphere was charged with God’s power. After the service, there was a beautiful Alleluia song by the choir. I remember the day when I gave the MCA entrance test at M.S University of Baroda. It was a highly coveted course in 1998, with only 35 seats available, out of which only 25 were for General Category and rest for SC/ST/OBC. On the day when the MCA results were declared, I was in my room, with my face on the study table, in a very somber mood. At that time, Deepak Gupta came to my house and excitedly shared the news that my name was shortlisted for MCA. The news was like an oasis in the desert. I went to the college to confirm. I saw my name, ranking third in the list. Praise God for this miracle 🙂 I also passed the MBA entrance test that I gave in Ahmedabad but I decided to join MCA. Click here to read part II of My College days. This entry was posted in Memories of my life. Bookmark the permalink. Wow !! Really inspiring !! Waiting for the remaining part of this story ! !